Wellness AtoZ is making Arizona and the Greater Phoenix region known as a destination for healthy talent and a healthy community. It offers free solutions for all businesses, complementing existing programs or offering tools to build your own. 4. USE the Wellness AtoZ logo to brand yourself a Wellness AtoZ employer today! 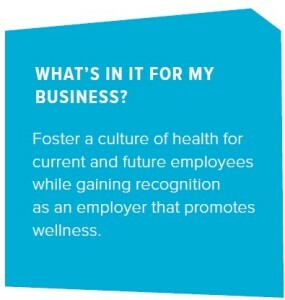 For more information on becoming a Wellness AtoZ Employer, contact a Wellness AtoZ coordinator at info@wellnessatoz.org.